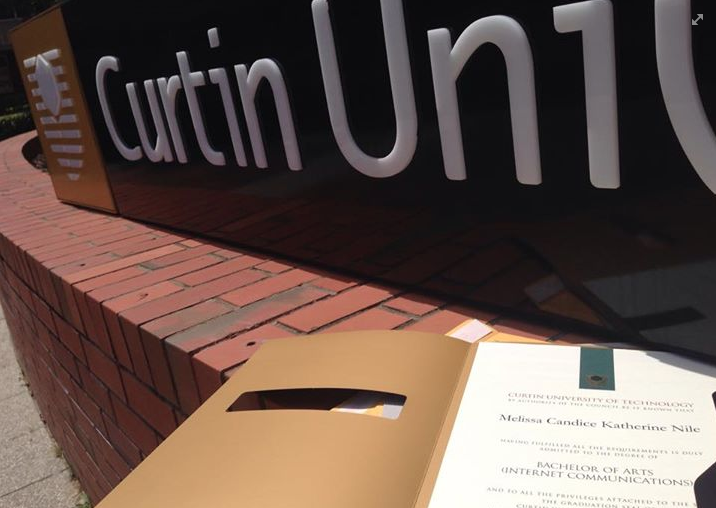 For better or worse, my Honours thesis has been handed in. I collected my certificate of Graduation for Bachelor of Arts (Internet Communications) from the Curtin University graduations office this afternoon. Not bad going for someone who signed up for her first university unit “just to see what it’s like” just over 3 years ago. Not bad going for someone who thought she’d try this uni thing to see if she had what it took to get a magical piece of paper. Not bad going for someone who didn’t finish Year 12 either of the times she started it. 2 Honours units and one dissertation. And, I hope, one walk across a stage in February, a smile, a handshake, and a magical piece of paper with the word “Honours” on it. 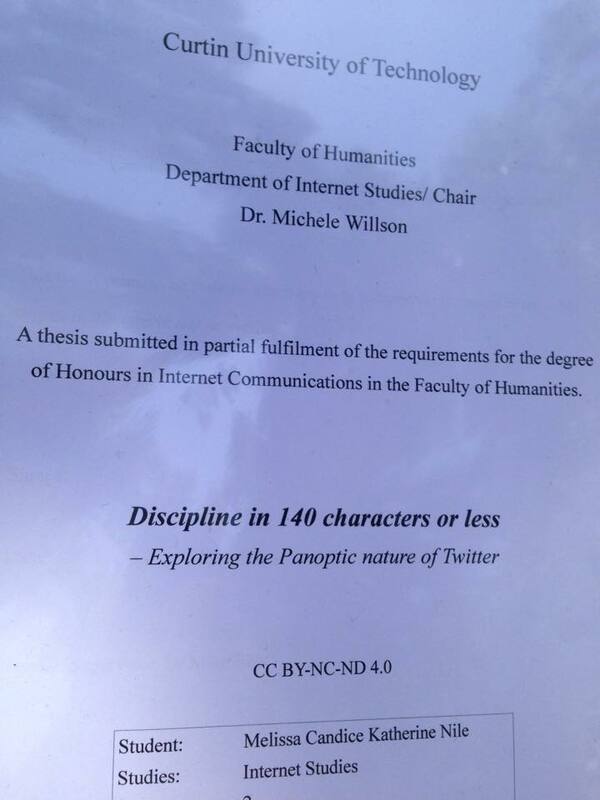 This entry was posted in Uni, Update and tagged graduation, thesis, uni.